Figure 1 shows the difference between the default geodesic polygon and the result of converting the polygon to a planar representation. Figure 1. 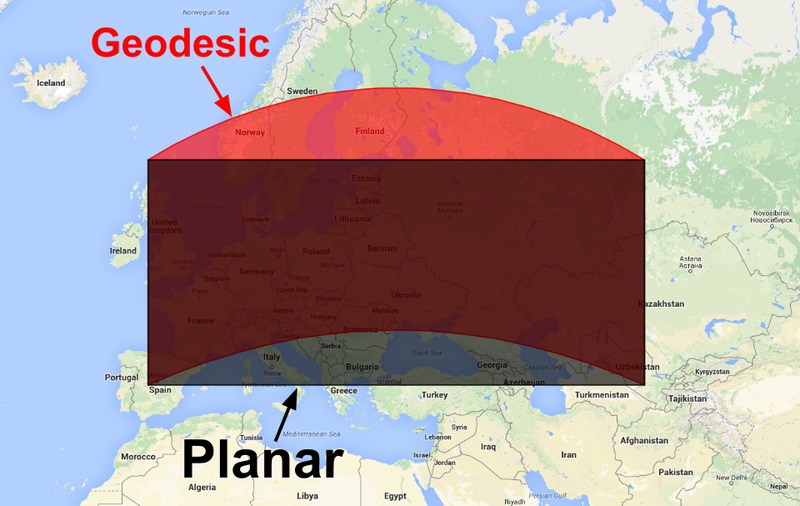 A geodesic polygon (red) and a planar polygon (black). You can convert between geodesic and planar geometries using the ee.Geometry constructor.